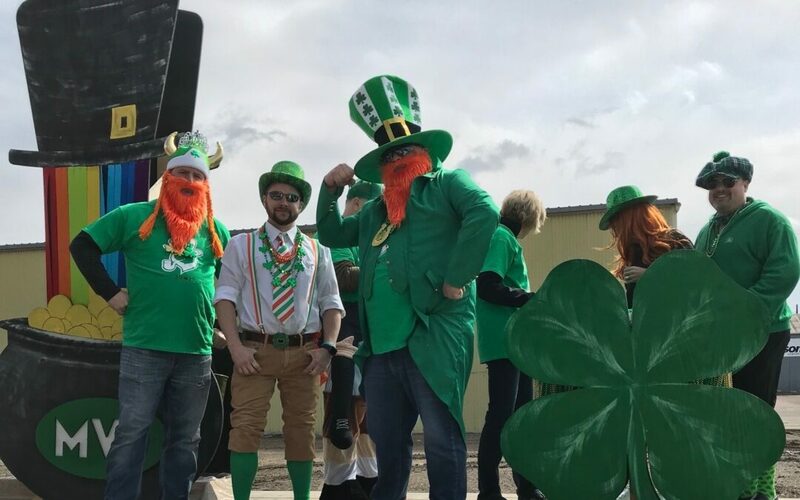 Ten years ago, The Sioux City St. Patrick’s Day Parade was created by a group of local Irish Siouxlanders who wanted a fun way to bring the community together, and it’s been going strong ever since. 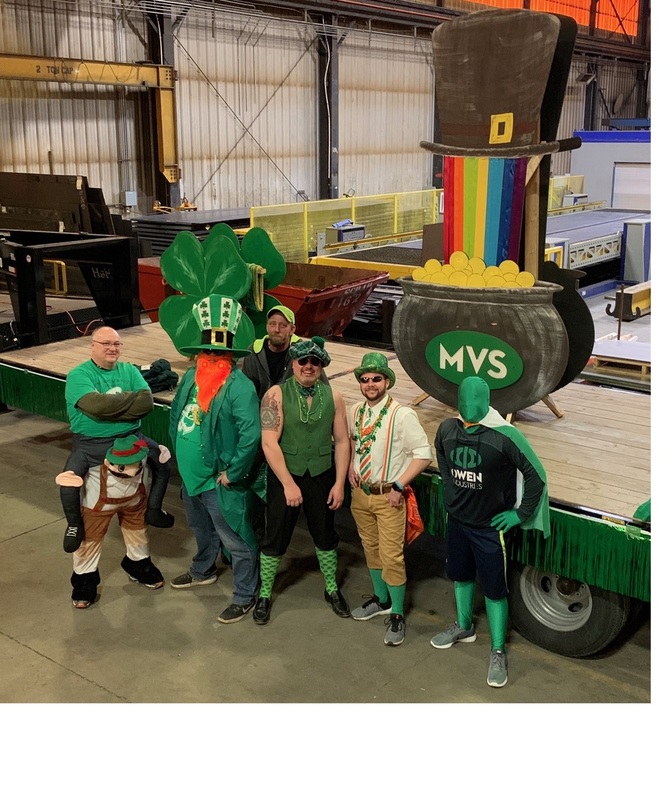 This year, MVS Metals was the primary sponsor of the parade, and chose to lead the way along the 10-block route through Historic 4th Street. There were about 3,500 people in attendance this year, the weather cooperating at a comfortable and sunny 45° with a light breeze. Their custom-made float adorned decorations that were cut on the company’s Water Jet table and painted after hours by some very artistic employees. 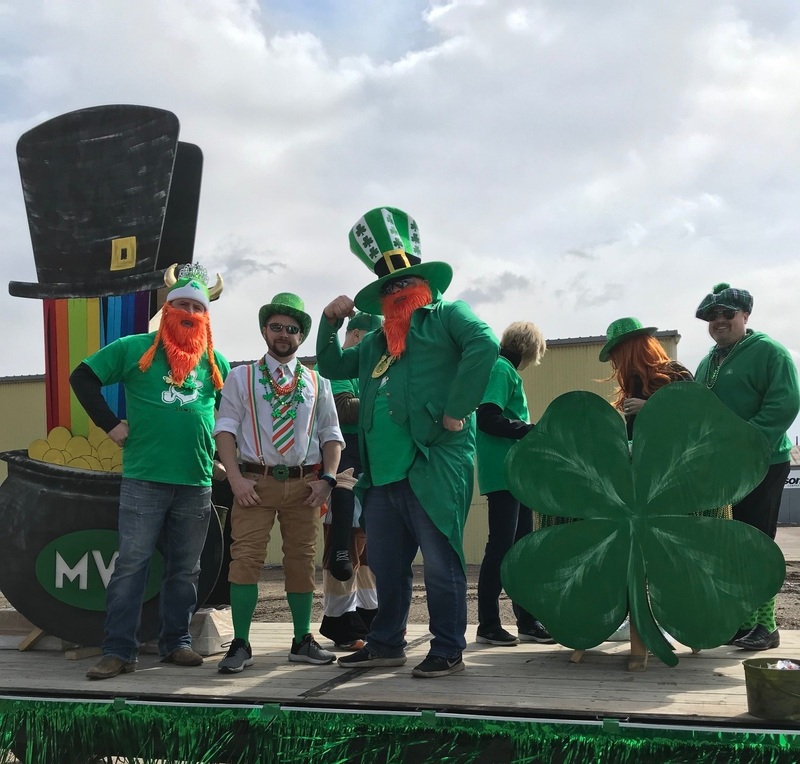 It was armed with a plethora of beads, candy, and custom made MVS Metals 2019 St. Patty’s Day Parade shirts. 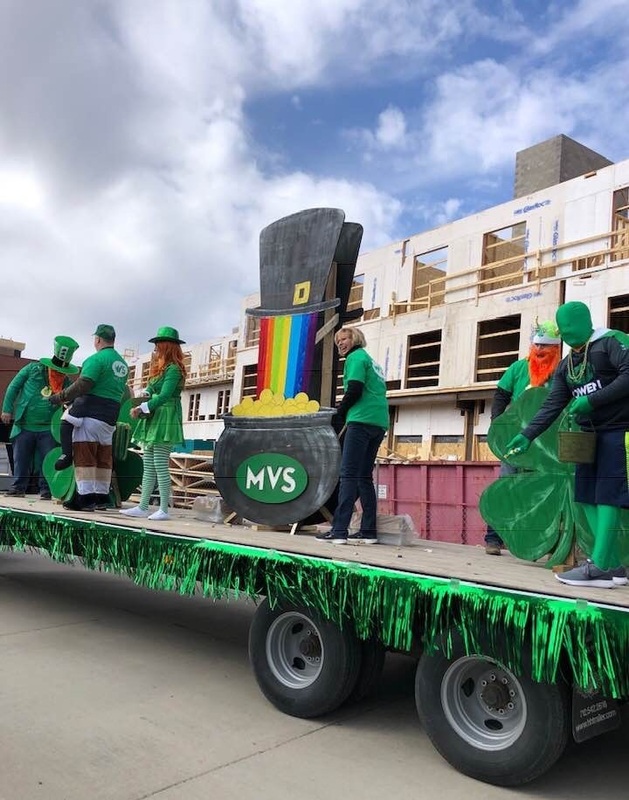 This was the second consecutive year that MVS participated in the Sioux City St. Patrick’s Day Parade. 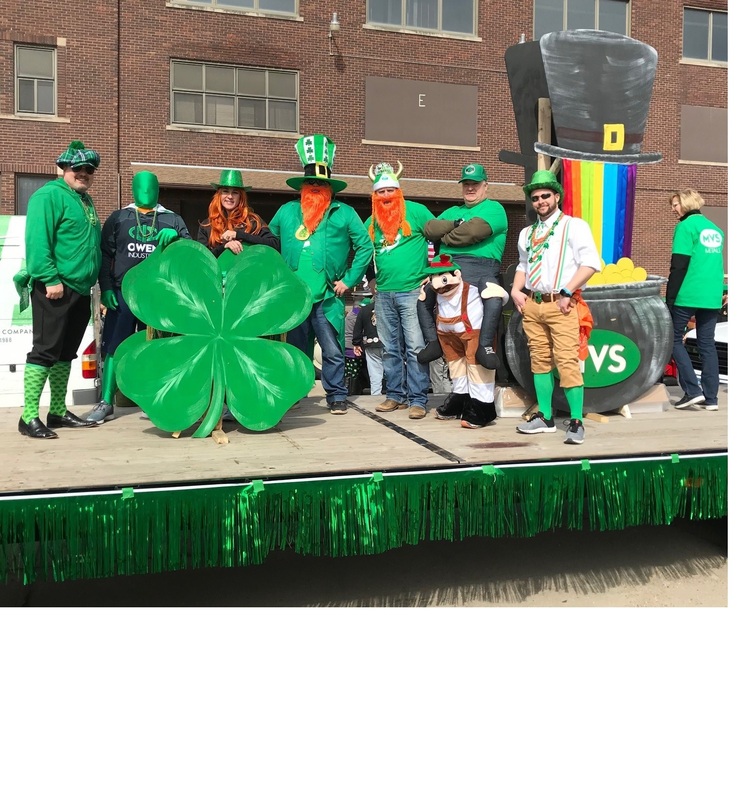 Company Employees on the float this year were: Chad Vortherms, Elroy Sybesma, Jeff Remien, Brandt Kjose, Jace Jungemann, Aaron Mousel, and Clint Sheppard.